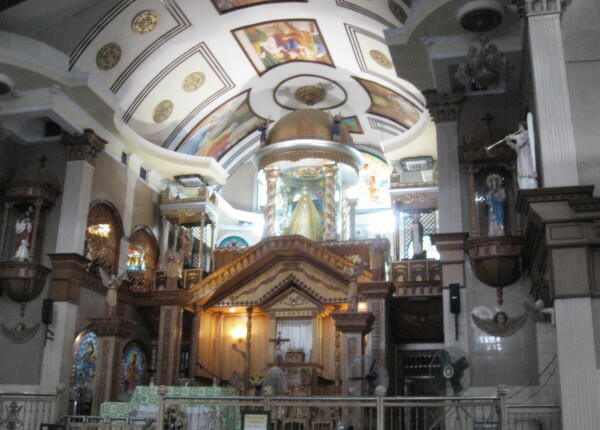 When people talk about Simala, they almost refer to the miraculous church. 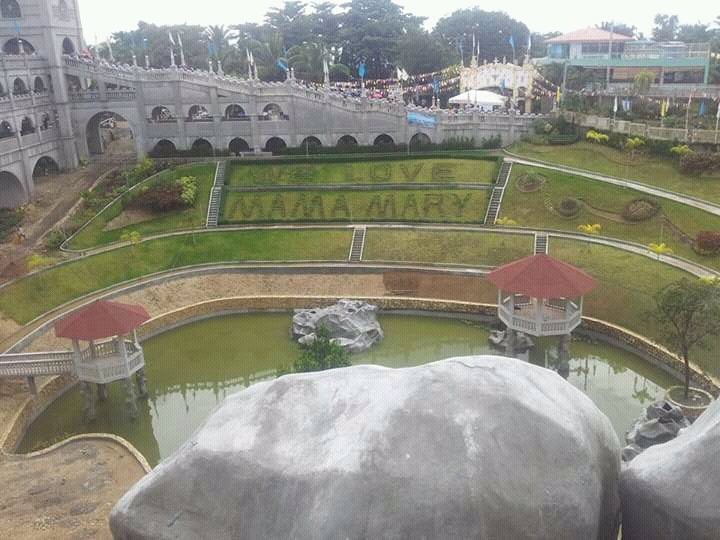 Simala is a place in Sibonga, southern part of Cebu. You can pass by it if you goto Oslob. Going there is pretty easy, the place is so known. If you are in Cebu City, take a Ceres bus in South Bus Terminal. You can take Bato-Oslob route or simply ask the guards around. They are helpful and friendly however in peak season, you have to fall into a long line. Ask the bus conductor that you’re going to Simala Church and you’ll be exactly stopped at the corner street going to Simala Shrine. You can take habal-habal ride from the highway our you can also take tricycles. Here’s the view once you get inside the entrance gate. This was how to looked like then. It changes a lot since the last time we’ve visited there some years ago. 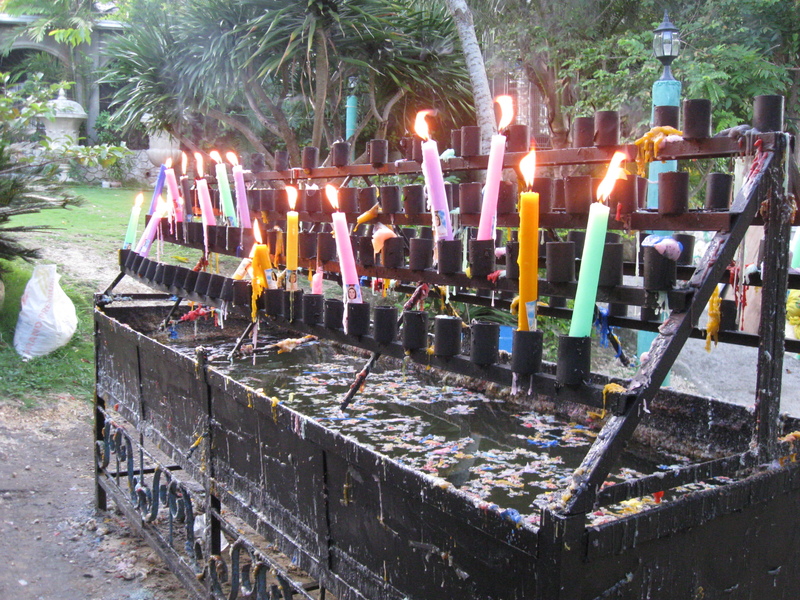 There are several places within the church where you can light up a candle. Upon entrance on the side, there is one spot you can immediately recognized like below. 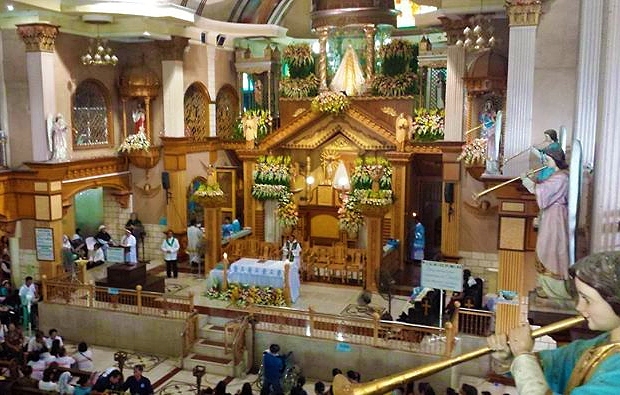 If you want to go near the altar, on the side, is where the bigger area for candle lighting. Below were just two angles you can view the altar. You can get closer actually during weekdays as there are fewer people going to Simala church this times. Devotees come back and give thanks for the prayers granted. 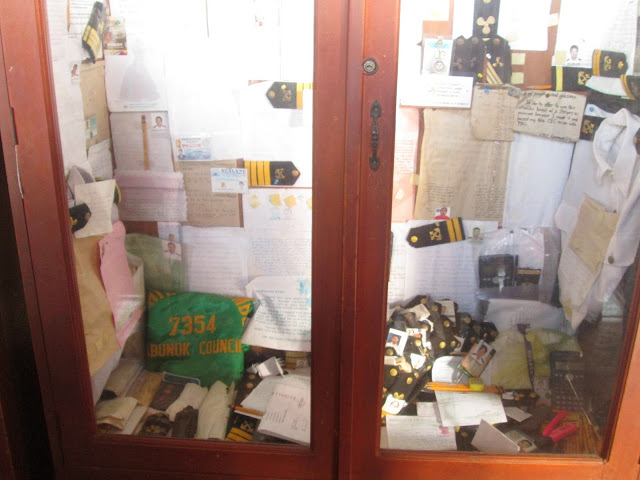 They leave here simple letters, books, icons and anything that symbolizes success and how the miraculous mother aided them through. The landscape where developed, landscape looks amazing.. but then, if we go there we remind ourselves not only for the miracles we heard nor for the beautiful landscape.. but to pray! Your spirit now is enlightened and uplifted, better and good. You might be tired, hungry and thirsty as well. There are lots of small stores outside the church to get foods and water from. If you can hold your hunger and thirst a bit, you can move down back to highway and drop by Sibonga Plaza, cool down yourselves with foods and coolers in Mama’s Choice Refreshment Parlor, just on the left side part of the plaza.